One thing is for sure, the whaling industry isn't about making a profit. If it really is about economics, supply and demand and profit margins then whaling would have ceased many years ago. The attached report shows that sales of whale meat and other by-products have made consistent losses over the past 20 years. An astronomical figure of $223 million dollars (US) since 1988. 2008/9 saw the Japanese government subsidising the whaling industry by $12 million dollars (US). 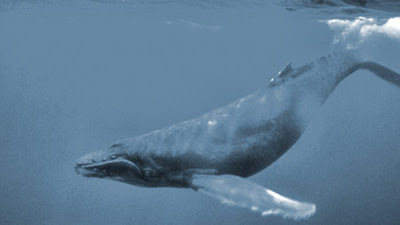 If the Japanese research program is really in search of a sustainable harvest of whale, regardless of the answer, success or failure of their results, the economics of their own market should be telling them there is no profit to be had in hunting whales. If Japan were to accept that amount of whale meat from Iceland alone it would instantly double their stock. That would require that Japanese people start eating twice as much whale meat than they do now. Add Norway to that and common sense says that if you can't give it away, people aren't suddenly going to start paying for it. It continues to elude the whaling nations that they have no market for this product. Iceland and Norway have both been recorded as attempting to rebuild their economies by creating jobs through whaling with a view to exporting 90% of their catch to Japan. Japan can't sell the stockpile of whale meat it amasses each year. Records show that up to 6,000 tonnes of whale meat has been stored year after year without being eaten. It currently stands at 4,000 tonnes, that's 4,000,000 kgs of whale meat. The energy required to freeze that much meat each year must far outweigh any possible chance of recovering its value. So what are the real reasons behind whaling? This conclusion is entirely wrong. Profit is to be made not by sustainable exploitation of whale stocks but by mining them, as before. In the post war era there may have been a need for whale meat. But now other options are available the Japanese public have moved away from it. Even now without being able to import it they are not eating what they kill for "research". So how is it possible that it makes any commercial sense to expand beyond their current self granted scientific quota? The current "research" is demonstrating that they should probably kill less commercially than they do scientifically!